Welcome to November! We’re getting closer and closer to January 2016, which is when Degrassi: Next Class will make its official debut on Netflix and Family Channel. The hustle and bustle of the holiday season should keep us occupied as we wait for an official announcement of a premiere date/gallery photo dump/anything that acknowledges this show exists! A while back I was going through my Degrassi DVDs and rewatched the TNG episode “Pride” with Adamo, Shane and two of the writers providing commentary. I laughed my head off because those guys were having such a great time…wouldn’t it be fun if there were commentary for all of the episodes? When the Degrassi hiatus hits, fandom basically becomes a wasteland; the duo at Drunk Degrassi just prefer to be wasted. Rebecca and Michael are two fans with a podcast full of commentary for Degrassi: TNG (and eventually Next Class). I’m too intense for this world. 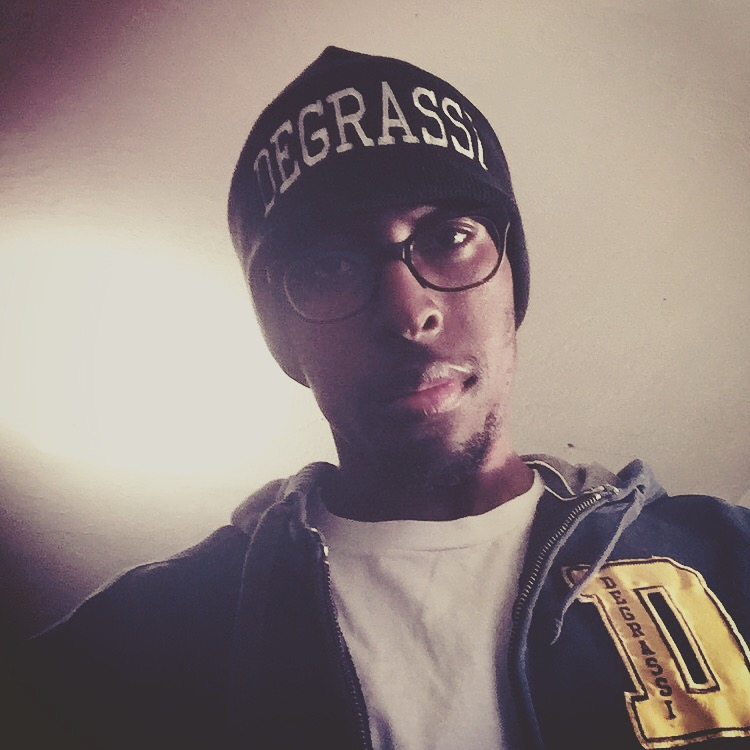 As always, you can purchase gear from the official store run by Bruzer, but now Degrassi apparel has returned to retailers! Richard Walters just released a new song called “Neverland,” and will be performing live on November, 22nd. Details on his performance here. Ehren and Eric’s band have been performing during the hiatus, and they will be releasing new songs in January, 2016. Check out their music here. Shane Kippel’s band is opening for Finger Eleven on November 20th…tickets are still available. She’s teasing us with upcoming music again…hurry up girl! *Ana’s also starring in film called “Dumb Luck” with Dylan Everett. Details on that here. *Paula Brancati, Chloe Rose and Mazin Elsadig star in the film, “People Hold On.” It just had a run in Canadian theaters with more news to come. Why Haven’t You Seen This Yet? 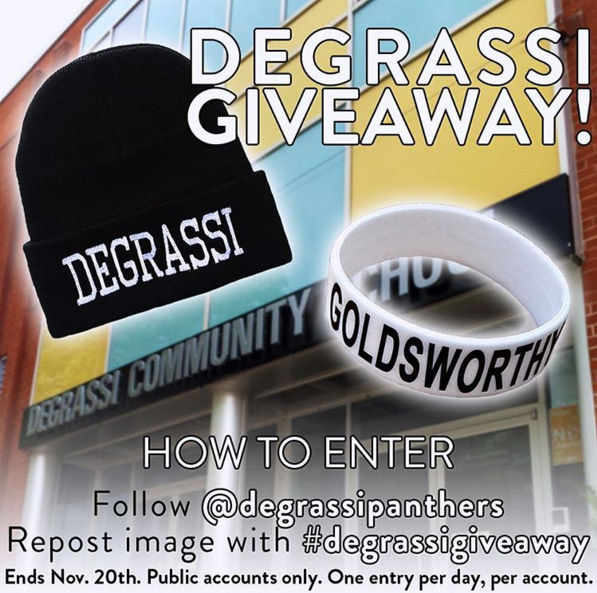 More Degrassi interviews can be found here. And while Degrassi has taken a hiatus from Straight Talk With Adamo during the hiatus (Degrassi hiatusception), maybe you missed out on an episode? And there’s also their #MyFav series. You can also never, ever go wrong with just watching season 1 of TNG. 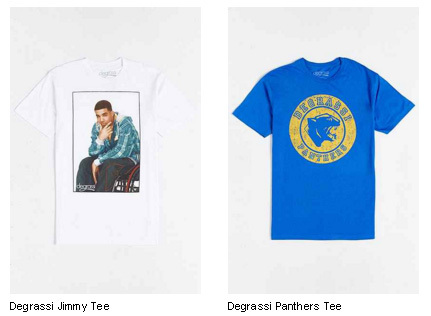 Too bad that Degrassi tee only goes up to xl, I’m a big guy. I guess I’ll have to get my fix with a TNG marathon, as usual. Excellent list of Degrassi activities! 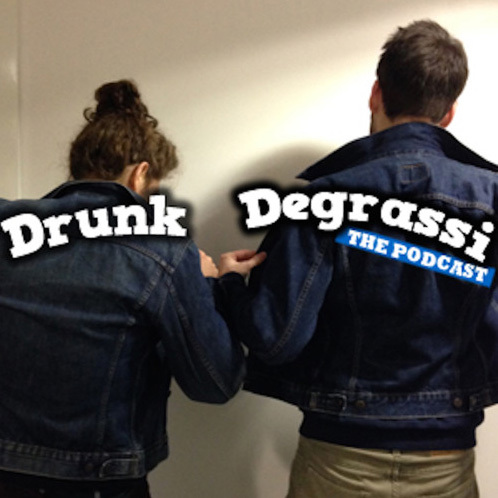 I am an avid listener of Drunk Degrassi and it’s a podcast that I highly recommend. The hosts are witty, funny, and their chemistry is fabulous. They just wrapped up Season 1 and will begin Season 2 later this month.